You’ve bought your new house. Everything looks perfect – and you want to keep it that way. But you’re about to spend hours moving your belongings, and your floors are at risk of damage. So how do you protect them? We’re breaking it down floor by floor. The following tips are great for any and all flooring types. Anything that pokes or sticks out should be wrapped in bubble wrap or protective furniture blankets. Not only will this protect your floors when moving furniture, but it’ll protect your walls and your furniture if there’s an accidental bump. We use moving blankets on all our moves specifically because they offer such excellent protection. Remember Ross from Friends trying to move his couch? If you don’t want to be the one screaming ‘pivot’, we recommend measuring your furniture and doorways before you try moving. This will help you prevent mistakes, jammed doorways, and floor damage before you even pick up your first chair. You’ll know what, where, and how everything will fit in your new home. One of the hands-down best ways to protect floors when moving is to use heavy duty doormats, old blankets, rugs, and even towels. They’ll create a path for movers and helpers to use, while protecting your floors from accidental dings or scuffs. Tip: If you use blankets, towels, or rugs to pave your moving path, make sure their old ones you weren’t going to keep anyway. People will be walking on them for hours, and they’ll get dirty no matter what season. Disposable shoe booties are a great way to protect flooring when you’re moving. They’ll minimize the dirt and dust in your home, and everyone will get to keep their shoes on. 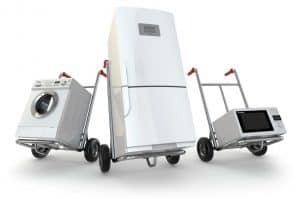 Dollies are a great way to move heavier boxes and furniture safely. If you’re doing a lot of the moving yourself, make sure the dolly you rent, borrow, or buy has soft rubber wheels – these will be the best for your floors. You’re bound to have at least one of these flooring types in your new home. Floor sliders go on the legs or adhere to the bottom of your furniture. You can pick them up at your local hardware/furniture store. They make it possible to slide heavy furniture across smooth surfaces – like your floor. Your floor and your body will thank you for using floor sliders. Tip: If you haven’t settled on a final layout for your furniture, keep the floor sliders on to make rearranging furniture easier – not to mention safer for your floors. Ram Board is a temporary floor covering material that is specifically designed to protect floors during renovations. It works on most floor types, is easy to apply, and can be resused. This is one of the go-to tools when it comes to protecting floors during a move, and can be found at most local hardware stores. If you’re in a home with carpeted floors, carpet masking film is the way to go. The film easily bounds with soft carpet material, and will protect against paint, spills, and dirt. 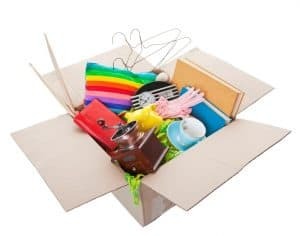 It’s easy to remove and leaves no residue behind after your move is complete. It can also be found at most hardware stores. 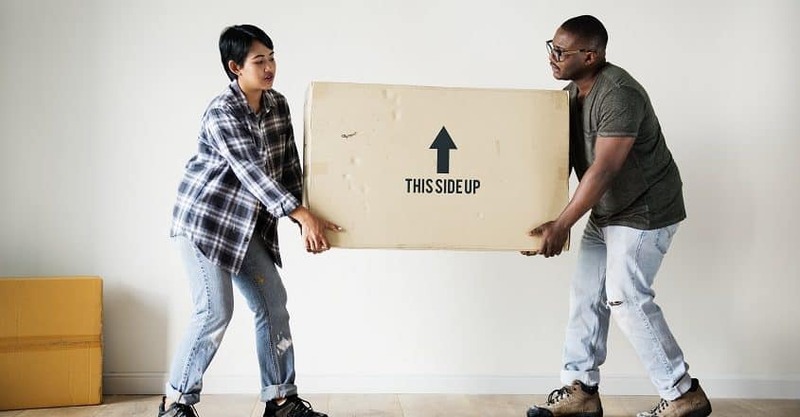 One of the best ways to protect your floors when moving is to work with professional movers who are educated on the best way to safely move furniture. Not only will we protect your floors, but we’ll take the greatest care possible with all of your furniture and belongings, giving you peace of mind on moving day. Getting ready for a winter move? We can help you make it tolerable! Check out these five tips to help make your winter moving adventure a success. 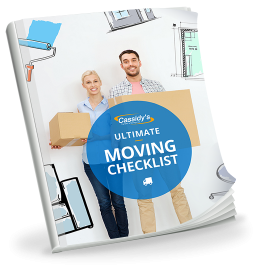 Here it is - the complete guide to preparing your appliances for moving. You’ll need some lead time, some tools, some elbow grease, and professional help to disconnect gas and water supplies.